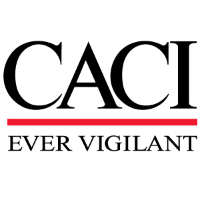 CACI is hiring a PACOM Intelligence Analyst in Suitland, MD. Join a team of dynamic Intelligence Community professionals and support the mission of providing intelligence analysis to US Navy forces in the PACOM area of responsibility! Provide critical All-source intelligence analysis to US military forces in a cutting-edge environment. If you are a TS/SCI-cleared Intelligence Analyst with PACOM and All-source analysis experience, apply today for this exceptional opportunity! A current, active TS/SCI security clearance is required. Minimum of four (4) years of prior military and/or inter-agency experience in intelligence. Minimum of four (4) years of experience writing succinctly at the college level and shall have advanced skills in using Microsoft Office compatible programs. Minimum of four (4) years of experience in research, development, and coordination of intelligence community projects. Minimum of two (2) years of experience with intelligence research related to intelligence targeting, cyber, targeting, or intelligence network analysis, or social media network analysis. Minimum of four (4) years of experience authoring intelligence products in accordance with Government production standards and formats. Minimum of four (4) years of experience conducting intelligence research related to Chinese military forces. Minimum of two years of experience producing finished intelligence in a time-sensitive environment for release to Department of Defense or Intelligence Community customers. - We’ve been named a Best Place to Work by the Washington Post for 4 consecutive years!